Why Should You Outsource Technical Support? Technical support is vital to any company for resolving tech-related matters on the consumer end. Sure, some companies have their own internal IT department. However, a full-time in-house staff is costly. This is why more companies – from local shops to fortune 500 enterprises – are hiring third-party technical support from countries like the Philippines. Maximizing profit is the primary goal of any company. This is not just done through increasing revenue, but also by minimizing overhead spending. This is where hiring third-party services come in. If you hire your own in-house team, you have to pay the staff a full-time salary, including benefits like health insurance, paid leave, etc. There is also the cost associated with turnovers. Another point to keep in mind is that technical support usually needs to be available 24/7. This may not always be the case, but more established companies need to have an around-the-clock reachability. Again, having an in-house team work around the clock is going to be extremely costly. With outsourced technical support, you pay for what you need and can scale up or down as need be. As your service expands, you can increase the volume of outsourced staff members. Likewise, you can scale back during slow periods. In other words, third-party IT support operates on an as-need basis. You are never bound by long, inflexible contracts. Keeping your customers happy is absolutely vital for consumer retention. According to an American Express study, 33% of surveyors indicated they would consider switching to a competing company after just a single instance of poor customer service. The same study also revealed that half of respondents have canceled a planned purchase because of bad service. People by nature are more inclined to report a bad experience than they are on a good one. This is why it’s so important to avoid missteps that may result in customer dissatisfaction. With third-party technical support, customers are never kept waiting for unnecessarily long periods. Their enquiries are also answered by knowledgeable staff. Timely and knowledgeable responses minimize risk of customers defecting and/or sharing complaints on social media. Whatever your industry, you want to focus mostly on your products and service. Of course, a business of any sort entails marketing, logistics, IT support, etc. By outsourcing, you and your in-house staff can focus on your industry niche while leaving the non-industry requirements to a third-party provider. In essence, all parties involved focus on their respective industry specialties. In most instances, third-party outsourcing proves to be an immensely beneficial investment. Executive Boutique is a Philippines-based call center that helps companies in countries like the U.S, UK, Canada, and more. Whether you own a local shop or have a global presence, contact us to find out how we may serve you. With everything going digital and mobile, the dominance of providing exceptional technical support becomes inevitable. Mainly, if you are running an online business, you take advantage of the different technology available in the market to optimize business operations. This comes with the enormous challenge to keep up with the latest technology trends. But with the different types of IT support being offered, can you identify the one your company needs? Considering the size of your organization is important. If you are a small company, having an in-house IT support works best. But for medium to large enterprises, you can either have partial in-house IT support or an entire IT department. While it is indeed, very convenient to have an in-house IT team, it can be costly, especially if your organization is of considerable size. To get the most out of your investment, you can choose to outsource your IT support services. This task involves connecting existing resources such as computers, printers, and other digital equipment in your workplace. This also includes making sure valuable resources are accessible to everyone in the organization like files, printers and internet connection. This comprises practices and policies that guarantee the safety and integrity of your network and data. With cybercrime on the rise, safeguarding the security of your network is a critical task. This can be likened to a help desk function. The Task can involve troubleshooting of common network operating systems and software, as well as replacing components or hardware as they break or become obsolete. Desktop and end-user support specialists are the first tiers of assistance when customers face issues or defects with products and programs. This refers to the crucial task of copying and archiving computer data to prevent data loss in the event disaster strikes. PC repair service helps ensure that your system is running in tip-top shape. It involves identifying, troubleshooting and resolving problems and issues in a faulty computer. Remote PC Support often allows an IT expert, access to your computer, remotely, to figure out what the issue is and fix it. This is usually required when problem faced cannot be solved by troubleshooting or installing programs, and is somewhat more complicated. With email as one of the most convenient modes of communication, there is a heavy emphasis on providing effective customer support via email. Choosing to outsource your email support, allows you more time to focus on core business. This is one of the most popular types of technical support. Especially for online retailers, providing live chat support guarantees an increase in sales and higher customer satisfaction. Since live chat support runs round the clock, outsourcing this task helps reduce operational costs. Executive Boutique is your technical support call center partner in the Philippines. Some of the services we provide include site navigation training, software, and app support call center, software installation, software training, and help desk call center service. Our dedicated team of specialists guarantees to deliver exceptional customer service and are equipped to handle your hardware, software and mobile application support. Interested to know more, call us today and get your free quote! Call Center vs. Contact Center– What’s the Difference? When you hear the words call center and contact center, what comes to mind? You would probably think it’s the same – but it is not. When you hear or think of these words, you would most likely conjure up images of people wearing headsets sitting in front of a computer, wearing animated or penchant facial expressions, either answering or making calls. The difference between the two lies mainly in the methods of communication involved as well as the overall customer experience. To better understand these two terms let’s start by defining each one. A call center is a centralized office or a facility, that is equipped to handle large amounts of customer requests communicated through the telephone, usually for an organization. Communication and interaction with the customer are primarily done by phone. They are further classified into two types, namely, an inbound call center and an outbound call center. An inbound call center receives incoming calls, usually from customers needing additional information or general queries, product support or feedback. Outbound call centers, on the other hand, are operated more for the sole purpose of telemarketing, market research, getting a solicitation for a charitable or political donation. In general, callouts are done in outbound call centers. The earliest form of call centers can be traced back to the 1960s with the usage of a PABX system. Soon after, when call center operations were set up to provide customer support for airlines and financial institutions, the technology used at call centers evolved. Automatic Call Distribution (ACD) system and IVR or Interactive Voice Response were introduced. ACD enable call routing to agents who are available and with a specific skill set while the IVR allows computers to interact with customers through voice or by input on the phone keypad. A contact center is very similar to a call center – inbound and outbound calls are also being handled. However, requests or customer interaction is not only through the telephone, but also through different digital communication channels such as email, chat support, SMS, etc. In addition to ACD and IVR technology, they also make use of cloud services and VoIP, Voice over Internet Protocol. This platform allows customers to reach out using their communication channel of choice. It is essentially a one-stop shop of customer care necessities. It has a call center, messaging center (for SMS), e-mail department, live chat department – all under one roof. A contact center, is also, frequently used by organizations as the home base of Customer Relationship Management (CRM). It is where most of the customer interaction takes place which allows capturing, storing, tracking, and gathering of customer data is made possible. Both a call center or a contact center provides the essential functions of customer service or act as extension support of your company. Your customer may not be able to distinguish the difference between the two and may mix up the usage of both terms but what’s important is that your company is able to deliver on your customer’s expectations to guarantee satisfaction and maintain loyalty. Executive Boutique provides customer support, business process outsourcing, and technical support services from our state-of-the-art facility in Cebu City, Philippines. Our servicing platform supports most communication channels such as voice, email, and live chat. Why choose to be tied down to a long-term service commitment when we can work with you on a project basis? We also allow you the flexibility of modifying our services rendered to adapt to your business need. Interested to know more? Contact us today! With the advent of smartphones, the world has evolved tremendously — especially in the way we communicate. No longer are phones solely used for calling, it is now also being used for reading, writing or editing, shopping, making travel arrangements, making payments, so on and so forth. We see hundreds of mobile apps created daily; Apps that are engineered to make life even easier and convenient. As more apps are invented, the more tech customer support is appreciated. A new generation of consumers who are used to the lifestyle of instant gratification now expects tech support to be efficient and readily available at their convenience. Businesses are also becoming increasingly aware of the significance of providing technical support for their online business platforms. They comprehend that staying relevant and successful is parallel to being consistent in delivering excellent customer experience. However, providing technical support is expensive. Maintaining one in-house is no exception. Outsourcing your tech support is your clever move. App and mobile support is no doubt within the top five spots in the long list of tech support, an organization must provide. With most of our interactions done through our mobile phones, it has become an essential part of our lives, that we just can’t imagine life without it! If you are a startup or if your company is now going digital, the fastest way for you to provide comprehensive round-the-clock support, without spending too much, would be to outsource. Outsourcing allows you instant access to a wide pool of talent at an affordable cost and frees your time, so can focus on your core business. With a greater talent pool, you do not need half as much time in recruiting and training, because you already have experts in your midst. You no longer have to concern yourself with recruitment, training, and payroll because with outsourcing comes workforce who are already trained and ready to provide support. Outsourcing lets you agree on a level of service to be provided. So you know exactly what you are signing up for and how much you will be spending for it. Whenever you need additional workforce because an employee is away on vacation or calls in sick, outsourcing will take care of that for you. They can increase or decrease the workforce needed to support your operations. With adequate manpower supporting your operations, your calls are answered on time, and no call is abandoned, shorter or no hold time, and first call resolution is achieved. Executive Boutique is your outsourced tech support call center in the Philippines providing customer service and business processing support. We are your remote IT support company providing your mobile and app support services, 24/7. Our app tech support provides servicing through different communication channels such as phone, email, social media, ticketing systems, and real-time chat. We make use of a priority queueing system to keep track of reported issues, and our dedicated agents provide solutions on time to ensure customer satisfaction. We also provide in-app support and help you kickstart your app program by monitoring usage and detect issues or bugs that your customers are experiencing. We will even be there to walk your end-users through without them ever having to exit your program. Here at Executive Boutique, we understand your software and app support needs. We guarantee you a dedicated and responsive team, who are experts at what they do, to provide you the assistance you need round-the-clock. If you want to learn more about our tech support services and to take advantage of our affordable rates, contact us today for a free quote! Having quality technical support can contribute a good deal to your company’s success. Numerous studies, like The RightNow Customer Experience Impact Report, for example, show that 89% of customers have stopped patronizing a company after a disappointing technical support experience. It’s typical for someone who has just bought a gadget to hurriedly unwrap the packaging, skip reading the manual, and immediately try to operate the device — only to get frustrated because they can’t get the device to function properly. Of course, this then prompts them to dial the 1-800 number to get help from technical support representatives. In today’s modern age of supercomputers and intelligent electronic gadgets, considering the type and quality of technical support you provide, as a business, is equally important. Outsourcing is a proven and effective solution to cutting overhead costs and expand your business’ capacity. Sure, with an in-house IT helpdesk, comes convenience and immediate availability, but it is with no doubt, costly. Hiring the right talent is essential to running a successful business. But how does one find the best and the brightest without breaking the bank? Through outsourcing, of course! Especially for a start-up company, there will always be tasks that you will need help on a one-off basis like website design, or accounting. In the case of an online shopping website, there may be times, for example during the holidays, when you need additional manpower to handle your operations – outsourcing is your answer. BPO companies can work with you to provide service according to demand. No one can do everything and neither should you. Majority of business owners are terrified of delegating responsibilities to others for fear of failure. But as an entrepreneur, you can only do so much, and it would be more beneficial to focus your energy on tasks that bring growth and revenue to the business. Instead of spending most of your time sorting out payroll problems or searching for the best talent, leave it to the experts and focus on what you do best. No matter the size of your company, operating costs is a budget concern. Instead of bleeding the company’s resource for the purchase of the new state-of-the-art equipment and it’s maintenance, it makes more sense to outsource so you can save on costs. Let’s face it – with everything and everyone within global reach, having tech support on standby 24/7 is a business necessity. The obvious and most practical way to provide this is to, of course, outsource. Executive Boutique Call Center aims to provide both small and large organizations with excellent technical support services, necessary to improve and sustain your company’s success. This software enables call routing to customer support representatives who have the skill to best handle a specific need. Our automated system allows interaction with callers through voice or touch-tone command which gathers required information. It can be set up to route calls to appropriate agents and deliver critical info on a real-time basis. Our technology enables callers to be routed to multiple distributed contact centers or locations. It can also be assigned to secondary queues such as IVR or specialized ACD skills group. Technology that allows companies to manage and analyze customer interactions and data with the goal of improving customer service relationship and drive sales growth and customer retention. Our wide array of tech services include Software and Mobile App Support, Software Training, Software Setup, and Installation and Software Troubleshooting. Are you looking to outsource your technical support needs to save on costs? Look no further than Executive Boutique Call Center! We provide top-notch tech support to companies of all sizes. Our agents possess computer degrees and have the relevant experience from working with big companies. Curious to know more? Contact us now for a free quote! As a business owner, connecting with your customers on a personal level can do wonders for your brand. With the right CRM (Customer Relationship Management) strategy, you’d be able to build a strong foundation within your business, improving your customer retention. However, to manage an in-house CRM team requires substantial investment. And if you want to deliver top quality user experience without compromising on other aspects of your business, you’d have to put in a good chunk of your resources and time to make sure everything is lined up properly. The good news is, the stress of putting together an in-house team can be eliminated if you hire a third party company to handle your CRM. Although companies outsource their CRM to reduce cost, there is more to it. Due to the fragility of customer loyalty, outsourcing providers have developed sophisticated sales and marketing system to increase your customer retention. Third party vendors are continually developing ways of providing superior customer care services. They are primarily saddled with one responsibility — retaining your customers and offering solutions to the challenges they are facing. You get to mine from a pool of experts who will deliver outstanding service to your loyal customers. Furthermore, third-party call center companies provide regular training to their employees so they can keep up with the latest technologies. Outsourcing your CRM services to a third party company paves the way for growth. With third-party companies, you’d be able to meet customers demand quickly. Seasonal spikes like Valentine’s Day and Christmas create massive demands. And if you outsource your customer service, you’d be able to focus on other aspects of your business like product and service delivery. Third party companies can be held accountable for the contract. And with a pool of trusted experts, quality delivery is guaranteed. By allowing a third party company to handle your customer support, more resources will be plunged back into the business. You’d be able to focus on business expansion and other ways of adding value to your business. Outsourcing eliminates the need to hire and train in-house staff. By offloading the CRM service to a third party, you’ll save training time and also get access to industry experts with the technical know-how. It does not only save time, but it’s one of the best ways of having a massive ROI. 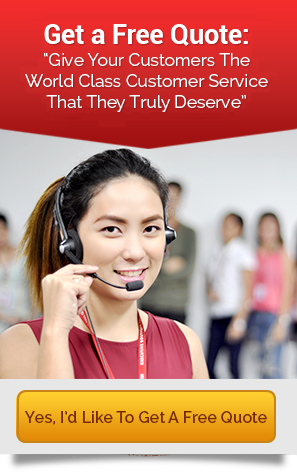 Here’s a quick overview of our call center services here in Executive Boutique Call Center. We provide professional support to small and mid-sized businesses. We can help you manage your telemarketing, customer support, technical support, and back-office administration. Our skilled and certified agents offer higher-level services, and they’ve worked for leading tech brands. Whether you’re in the healthcare, manufacturing, retail, financial, wholesale, insurance, travel, and non-profit industry, we can help you grow your business to greater heights. As technology continues to improve, software and apps are constantly being updated. As an organization, you need to see to it that your staff is equipped and updated with the latest; therefore providing proper and prompt training is critical to making sure customer service levels do not suffer. Ever since business organizations are finding ways to save on training costs. They also want a different and more modern approach to training. This is primarily the reason why companies of all sizes continue to rely on outsourced tech support in the Philippines, and Executive Boutique is your software training call center partner here. Talents that are hired by BPO companies are experts in their field and trainers are no exception. Although training is an essential endeavor for companies, for a majority of them though, it is not a core function. Therefore as a company, you stand more to gain when you outsource and leave the training to the experts. Trainers from external companies bring a fresh and different approach because their training style is mostly different from what one is used to in a company. It is a refreshing break from a company’s training technique which has probably been the same since day one..
Training is not an everyday undertaking So maintaining an in-house training team is not ideal, not to mention, expensive. By deciding to outsource, you can send your staff for training only when there is a need for it. So why maintain an in-house training staff and pay them regularly when you can choose to pay for online computer training, on demand when you need it? Companies have deadlines to meet, and when systems and technology undergo enhancements, they need their staff onboard with it – asap! Executive Boutique guarantees to market your new products and services sooner – rather than later. We are a reliable company, and we specialize in software training. With the expertise of our technical support team, we guarantee your staff will be adequately trained and competent. Not only are you assured of expert tech support agents, but also of affordable talent pay. Since the cost of living in the Philippines is considerably lower than other countries like Australia or the U.S.A, there is no scarcity of workers who are the best and the brightest because they are attracted by generous compensation. According to an IBM research carried out in 2010, organizations who outsource, continue to outperform their competitors on key financial metrics – from general and administrative expenses, earnings before taxes, sales, operating income and return on assets. Have you been considering outsourcing your software training needs but can’t find the right BPO company? Your search ends with Executive Boutique! We provide scalable, top-notch software training to companies of all sizes. Our software trainers are the best and have relevant experience garnered from working for reputable technology firms and possess computer degrees and training backgrounds. Our training approach is thoroughly documented and tailor-made to suit your company culture. Sound like everything your company needs so far? We’d love to discuss this with you further! Contact us now for a free quote.